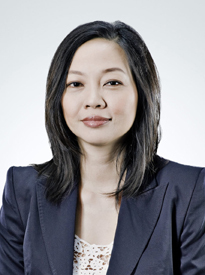 Evelyn Wee is the Deputy Head of the Corporate and Transactional Group. She also heads the Capital Markets practice and is a senior partner with the Mergers & Acquisitions practice. She has more than 25 years of experience in mergers and acquisitions, private equity/venture capital investments and capital markets transactions, including initial public offerings. She regularly advises, inter alia, listed vehicles on their corporate/compliance matters and clients on cross border transactions, which include investments in, and divestments of, businesses and assets in South Asia, South East Asia, the United Kingdom and South America. Evelyn has been recognised as a leading /recommended lawyer in major ranking publications such as Chambers Asia Pacific – Capital Markets: Domestic and Chambers Global, IFLR1000 in Capital Markets and M&A, The Legal 500 Asia Pacific in the Corporate and M&A practice, Best Lawyers International and Who’s Who Legal. Clients have commended her as "a very detailed lawyer who puts in a lot of care for her clients", appreciating her for “consistently making an extra effort on transactions”. In addition, she is said to be “valued by clients for her dedication and commerciality” and described as “excellent”. Evelyn graduated from the National University of Singapore in 1989 and was admitted to the Singapore Bar in March 1990 and to the Roll of Solicitors of England & Wales in 1998. Evelyn has over 20 years of experience as a corporate lawyer. Her primary areas of practice are corporate finance and corporate and commercial transactions, including listings, mergers and acquisitions, fund management, private equity/venture capital investments and joint ventures. Acted for Top Glove Corporation Bhd, the world’s largest rubber glove manufacturer, in connection with its secondary listing by way of introduction on the Main Board of the Securities Exchange Securities Trading Limited. Top Glove’s market capitalisation at the time of its secondary listing on the SGX-ST was approximately S$2 billion. Acted for BNP Paribas, acting through its Singapore Branch, DBS Bank Ltd. and Credit Suisse (Singapore) Limited (collectively, the “Joint Lead Managers and Underwriters”) in relation to the renounceable underwritten rights issue of 441,901,257 new Stapled Securities of OUE Hospitality Trust (a stapled group comprising OUE Hospitality Real Estate Investment Trust and OUE Hospitality Business Trust), to raise gross proceeds of approximately S$238.6 million. Acted for Japfa Ltd and PT Japfa Comfeed Indonesia Tbk in the investment by a fund managed or advised by Kohlberg Kravis Roberts & Co. L. P. (“KKR”). The investment by KKR was a combination of a subscription of new shares in PT Japfa and the purchase of existing PT Japfa shares by KKR from Japfa Ltd., for an aggregate of 1.07 trillion Indonesian Rupiah (approximately US$81.2 million as at 8 June 2016). Acted for the issue managers and underwriters in respect of the proposed initial public offering and listing on the Main Board of the SGX-ST of a real estate investment trust in Singapore primarily focused on workers’ accommodation assets. Acted for Japfa Ltd. in respect of its initial public offering and listing on the Main Board of the SGX-ST. The market capitalisation of Japfa Ltd at listing (based on the offering price) was S$1.38 billion). Japfa Ltd is the first industrialised agri-food company focused on protein foods to list in Singapore. Acted for Citigroup Global Markets Singapore Pte. Ltd. and Daiwa Capital Markets Singapore Limited, the joint global coordinators, bookrunners, issue managers and underwriters in respect of the S$759 million offering and listing of units in Accordia Golf Trust on the Main Board of the SGX-ST in August 2014. The market capitalisation of Accordia Golf Trust at listing (based on the offering price) was S$1.1 billion. Accordia Golf Trust is the first business trust with an initial portfolio comprising investments in golf course assets in Japan to be listed on the SGX-ST and the first Singapore business trust to use the tokumei kumiai structure to invest in its initial portfolio. Acting for ISEC Healthcare Ltd in respect of the proposed placement and listing of its shares on Catalist, the sponsor-supervised listing platform of the SGX-ST. Acted as legal adviser to Religare Health Trust Trustee Manager Pte. Ltd. and Fortis Healthcare Limited in connection with the listing of Religare Health Trust (“RHT”), a business trust comprising healthcare assets on the Main Board of the Singapore Exchange Securities Trading Limited. RHT is sponsored by Fortis Healthcare Limited, listed on the National Stock Exchange of India Limited and the BSE Limited. RHT had a market capitalisation of S$709.3 million (based on the offering price) and is the first business trust comprising healthcare assets in India to be listed on the SGX-ST. Its IPO is the largest involving Indian assets in Singapore, and the second largest involving a primary listing in Singapore for the year 2012. Advised DBS Bank Ltd as global co-ordinator, lead underwriter and sole bookrunner, and Citigroup and CSFB as co-underwriters in HK$906 million offering in Fortune-REIT, Singapore’s first real estate investment trust involving foreign property. Acted for cornerstone investors in the subscription for an aggregate of S$106 million cornerstone units in Asian Pay Television Trust ("APTT") in connection with APTT’s initial public offering. Acted for a cornerstone investor in its subscription for S$95 million to S$100 million cornerstone units in Mapletree Greater China Commercial Trust ("MGCCT") in connection with MGCCT's proposed initial public offering. Acted for UBS AG and DBS Bank Ltd as underwriters on the S$400 million initial public offering of Banyan Tree Holdings Limited. Acted for SouthGobi Energy Resources Ltd, listed on the Toronto Stock Exchange, in connection a global offering of its shares, with a public offering in Hong Kong and a Rule 144A/Regulation S international private placement and a proposed secondary listing of such shares on The Stock Exchange of Hong Kong Limited, as well as a public offering in Canada. Approximately US$440 million raised. Acted for a provider of healthcare services, in connection with a proposed global offering of shares, with a public offering in Singapore, a listing on the Main Board of the SGX-ST and a Rule 144A/Regulation S international placement. Acting for a developer of integrated new towns in Vietnam, Cambodia and the People’s Republic of China, in connection with a proposed global offering of shares, with a public offering in Singapore, a listing on the Main Board of the SGX-ST and a Rule 144A/Regulation S international placement. Acted for the lead manager and joint bookrunner in connection with a proposed Rule 144A/Regulation S offering of senior notes by the trustee-manager (in such capacity) of a business trust registered in Singapore under the Business Trusts Act (Chapter 31A) of Singapore. Acted for a financial institution in connection with a proposed placement of units in a real estate investment trust listed on the Main Board of the SGX-ST. Acted for SouthGobi Energy Resources Ltd in relation to a US$500 million convertible debenture financing to by a subsidiary of China Investment Corporation secured against a first charge over SouthGobi’s assets, including the shares in and assets of its material subsidiaries in Singapore. Acted for a bank in Singapore in relation to the placement of European Style warrants (discount certificates) with the underlying shares comprised in the European Style warrants being existing issued shares of companies listed on the SGX-ST and other stock exchanges. Acted for the controlling shareholder in relation a proposed global offering of shares in MPC Holdings Limited, a listing on the Main Board of the SGX-ST and the Regulation S/Rule 144A international placement. Advised on the listing of real estate investment trusts and real property/shipping and infrastructure business trusts on the Singapore Exchange Securities Trading Limited. Advised on the listing and reverse takeovers of companies on the Singapore Exchange Securities Trading Limited and Catalist. Advised on compliance issues, private placements, bonus issues, rights issues and other capital issues, and establishment of share schemes and scrip dividend schemes by listed companies, including Datacraft Asia Ltd, Hup Soon Global Corporation Limited, Tiong Woon Corporation Holding Limited, Tye Soon Limited, Venture Corporation Limited and Zagro Asia Ltd. Advised on the proposed HK$140 million share exchange between LeRoi Holdings Limited, listed on the Stock Exchange of Hong Kong Limited and Abterra Limited, listed on the Singapore Exchange Securities Trading Limited. Advised on the listing of foreign debt securities on the Singapore Exchange Securities Trading Limited, including the issue and sale by the Government of the Socialist Republic of Vietnam of US$750 million aggregate principal amount of Notes. Advised on the recognition and distribution of collective investment schemes. Advised on restrictions in Singapore in connection with public offerings and listings in other jurisdictions as well as other corporate actions including tender offers and distributions in specie in relation to listed and non-listed entities. Advised Grofers International Pte. Ltd. ("Grofers") in relation to the subscription by Softbank Group International Limited, Internet Fund III Pte. Ltd., Sequoia Capital India Investments IV, Apoletto Asia Ltd and Mr Rahul Mehta for Series D Redeemable Preference Shares in the capital of Grofers, amounting to an aggregate investment of approximately US$120 million and in relation to the earlier investments by Internet Fund III Pte. Ltd., Sequoia Capital India Investments IV and Apoletto Asia Ltd had, of an aggregate of US$36.5 million for Series A Redeemable Preferences Shares, Series B Redeemable Preference Shares and/or Series C Redeemable Preference Shares in the capital of Grofers. Grofers is the holding company of Grofers India Private Limited, which operates an e-commerce platform that provides delivery services for groceries and other products to consumers in India. Advised a syndicate of banks in relation to two facilities, each comprising the $160,000,000 financing of the acquisition of an LNG tanker. Advised an Australian bank in relation to facilities extended to an Indonesian group in the business of mining and the ownership or vessels in connection therewith. Advised financial institutions (including DBS Bank Limited, United Overseas Bank Limited, Bank of China, Royal Bank of Canada, Standard Chartered Bank, ST Capital Limited (formerly known as Vickers Capital Limited), UBS AG and Malayan Bank Berhad) and corporations in relation to banking facilities, with different types of security, including without limitation, charges over shares, guarantees and debentures. Acted for the ERGO Insurance Group in its acquisition of the entire issued share capital of SHC Insurance Pte Ltd, a licensed insurer under the Insurance Act (Cap. 142) carrying on general insurance business in Singapore. The aggregate value of the transaction was approximately S$113 million. The transaction was completed on 1 August 2014. Acted for CityNet Infrastructure Management Pte. Ltd (as trustee-manager of NetLink Trust) in the acquisition of all the shares in OpenNet Pte. Ltd. (“OpenNet”) from SingTel Interactive Pte. Ltd., Axis NGNetworks Pte. Ltd., SPH Net Pte. Ltd and SPT Net Pte. Ltd. for an aggregate consideration of approximately S$126 million. OpenNet is the network company that is responsible for the design, construction and operation of certain infrastructure of the Next Generation Nationwide Broadband Network in Singapore. OpenNet was selected by the Infocomm Development Authority of Singapore as the entity that will design, construct and operate the fibre network that comprises the NGNBN. Acted for Polyfoam Asia Pte. Ltd., a wholly-owned subsidiary of Inoac Corporation, in relation to its investment in AGP Asia Holding Pte. Ltd (“AGP”), which together with the Board of Directors of Armstrong Industrial Corporation Limited (“Armstrong”) has jointly announced a proposal by AGP to seek the voluntary delisting of Amstrong from the Official List of the Singapore Exchange Securities Trading Limited, and an exit offer to acquire all the issued ordinary shares in the capital of Armstrong in connection therewith. The deal value for Armstrong is S$197.5 million. Acted for Quadria Capital Fund L.P. and Orilus Investment Holdings Pte Ltd in relation to an investment through Orilus in a healthcare company in India. Acted for Pearson (Singapore) Pte. Ltd. and Pearson Overseas Holdings Limited in the acquisition by Pearson (Singapore) Pte. Ltd. of 50% of the issued shares in Educomp Higher Initiatives Pte. Ltd. (the “Target”) from Educomp Asia Pacific Pte. Ltd. The Target and its subsidiaries are in the business of providing vocational and/or workforce skills training in India. Advised CitySpring Infrastructure Trust and CityNet Infrastructure Management Pte. Ltd in the acquisition by CityNet Infrastructure Management Pte Ltd (“CityNet”), as the trustee-manager of a business trust (NetLink Trust), of certain telecommunications infrastructural business undertakings from SingTel for an aggregate consideration of approximately US$1.51 billion. These business undertakings, which would be managed by CityNet, are intended to be used in connection with Singapore’s “Next Generation Nationwide Broadband Network” which will deliver ultra-high broadband symmetric speeds to all homes, offices and schools in Singapore. Acted in the acquisition by a subsidiary of Fortis Healthcare (India) Ltd., listed on the National Stock Exchange of India Ltd and the BSE Limited of all the issued shares in Fortis Healthcare International Pte. Limited (“FHIPL”), from RHC Financial Services (Mauritius) Ltd. Based on an agreed valuation of US$665 million (which includes Dental Corporation in Australia, the Quality Group in Hong Kong, SRL Laboratories in Dubai and a minority stake in Lanka Hospital Corporation Plc), the shares in FHIPL were acquired at a consideration of approximately US$262 million (after taking into account the outstanding liabilities of FHIPL). Acted for Fortis Healthcare International Pte. Limited in the acquisition by its wholly-owned subsidiary Fortis Healthcare Singapore Pte. Ltd. of 85% of the issued share capital in RadLink-Asia Pte. Ltd. for an aggregate consideration of S$62.9 million, with an option to acquire the remaining issued share capital. RadLink-Asia and its subsidiaries are principally engaged in the business of diagnostic imaging, molecular imaging, radio-isotopes manufacturing and general practitioner clinics. Acted for The Lexicon Group Limited in relation to its acquisition of 51% of Electromotive Limited, a company incorporated in the United Kingdom and a leading provider of technology and engineering solutions for electric vehicle recharging stations. The purchase consideration of S$15,300,000 (subject to certain adjustments) was satisfied by the issue of new shares in The Lexicon Group Limited to the vendors. Acting for a Malaysian listed group in its disposal of its controlling interest in an Indonesian listed company to a consortium led by a private equity group. Acted for RHC Healthcare Pte Ltd (owned by RHC Holding Private Limited and Fortis Healthcare Limited) in a competing general offer for Parkway Holdings Limited, a company listed on the Main Board of the Singapore Exchange Securities Trading Limited which valued the target at S$3.2 billion. Acted for Fortis Global Healthcare Mauritius Limited, a subsidiary of Fortis Healthcare Limited, in its acquisition of a 23.9% stake in Parkway Holdings Limited, a company listed on the Main Board of the Singapore Exchange Securities Trading Limited for a consideration of more than S$950 million. Acted for Marsh & McLennan Companies in its proposed acquisition of HSBC Insurance Brokers Ltd, a wholly-owned subsidiary of HSBC Bank for a consideration of £135 million, comprising a mixture of Marsh & McLennan Companies, Inc. stock and cash. Advised Pearson Singapore, wholly-owned subsidiary of Pearson Plc (listed on the London Stock Exchange) in relation to its US$17.5 million acquisition of a stake in an entity owned by, and its joint venture, with Educomp Solutions, listed on India's Bombay and National stock exchanges. Acted for Radiance Electronics Limited in relation to the mandatory unconditional cash offer by Sino Fortune Union Investment Limited. Acted for the Lonza Group in its sale of all the shares of Jurong Island-based Lonza Singapore Pte Ltd to the Perstop Group fro US$138m. Acted for the receiver and manager of Bintan Lagoon Resort Limited (In Receivership) in its sale of Bintan Lagoon Resort by tender. Acted for an Indian group of companies on the sale of shares in a Singapore incorporated holding company, holding assets in the Indian educational sector, to a private equity fund. Advised on the amalgamation of Toll Logistics (Asia) Ltd and Toll (Singapore) Pte Ltd. Assisted HTC Corporation in its reorganisation of overseas subsidiaries. Acted for Manhattan Investments Pte Ltd in relation to their sale of shares in three companies to Links Island Holdings Limited for approximately $45,000,000. Acted for Affle Holdings Pte Ltd in relation to the investment by Microsoft and a listed Japanese group. Advised in relation to the sale of shares by a controlling shareholder, executive directors and employees in MediaRing Limited to the Spice group and acted in relation to the escrow arrangements pertaining thereto and the financing of the acquisition of shares pursuant to the exercise of options by employees. Advised in relation the acquisition of shares in Hsu Fu Chi International Ltd, listed on the Main Board of the SGX-ST by a private equity group. Acted for a consortium comprising a Hong Kong listed company, European group and Singapore investors in its bid for Sincere Watch Limited. Acted for the Dynamac group of companies in the proposed S$282.5 million reverse takeover of NH Ceramics Limited, a company listed on the SGX-ST. Acted for a listed Japanese group in relation to its proposed partial offer for shares in a company listed on the Main Board of the SGX-ST in the business of manufacturing and distributing pharmaceutical products. Acted for Roly International Holdings Ltd in connection with its voluntary delisting from the Main Board of the SGX-ST and the exit offer in connection therewith. Acted for a private equity group in its proposed bid to acquire all the listed shares in a company listed on the Main Board of the SGX-ST, pursuant to a scheme of arrangement under Section 210 of the Companies Act. Acted for Ascent Media Group and other multinational companies in relation to their restructuring exercises. Advised offerors in relation to proposed takeovers, the acquisition of and asset related financing in connection with the takeovers of public listed companies. Advised on the restructuring of shareholdings and businesses. Advised mergers and acquisitions of listed and unlisted businesses in Singapore and the region.